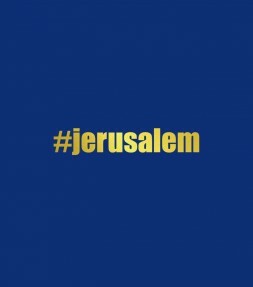 Get a a Jerusalem shirt or Jerusalem hoodie to show your love of Jerusalem and express your true feelings for the international 'City of Peace'. 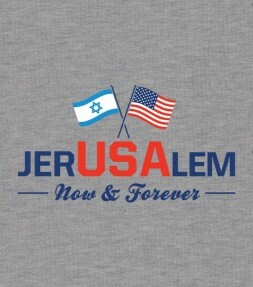 We feature a complete selection of fashionable designs and colors that will make your next Jerusalem t-shirt from israeli-T your most favorite shirt ever! 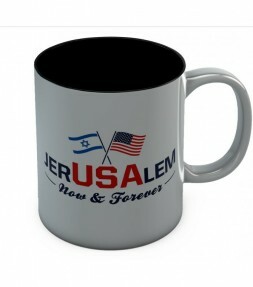 This proud design will clearly express your feelings to the world that Jerusalem is, was, and ALWAYS will be the eternal capital of Israel. 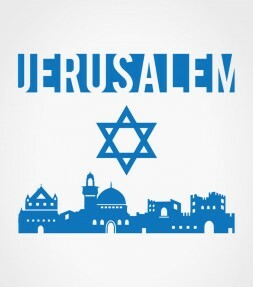 This classic Jerusalem print features a large Star of David symbol above an artistic rendition of the Old City skyline, making it a timeless Jerusalem shirt design for every day wear! 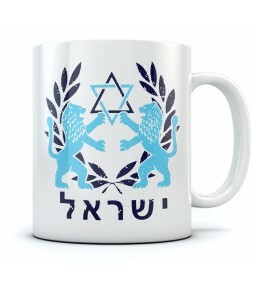 This uplifting design featuring the Hebrew word SHALOM (meaning peace) and a Star of David will provide a memorable and inspiring reminder to pray for peace to every one you see. 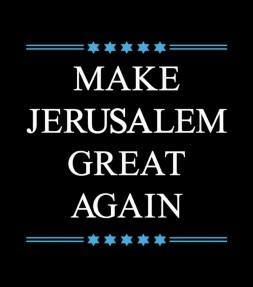 Breaking with traditional U.S. policy, Trump officially recognizes Jerusalem as Israel's capital. 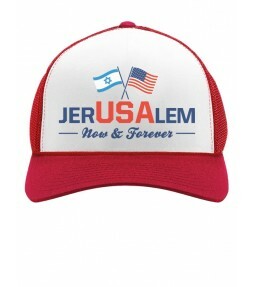 Show your support and favor for this decision with the classic cap in honor of Jerusalem and Israel. 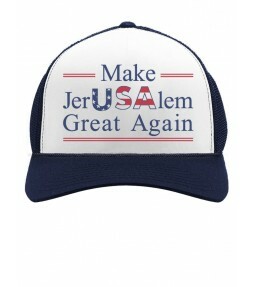 100% Combed-Cotton (High-Quality Cotton) T-Shirt, unique and hard to find. 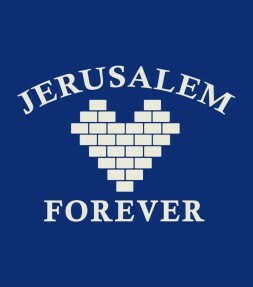 Featuring a big heart that will bring to mind the Western Wall in the Old City, this Jerusalem Forever is a classic T-shirt design for all-time! 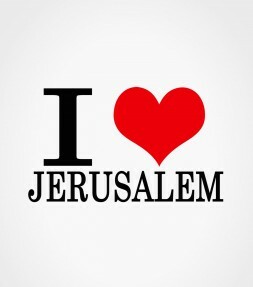 Show the world where your heart is! 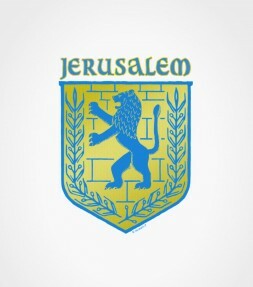 Share your appreciation of Jerusalem with this classic Jerusalem shirt design that will show your love of the city of Jerusalem and your support for Israel as well. 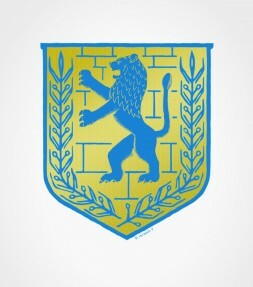 Whenever in doubt, this shirt design featuring a classic Lion of Judah insignia will surely remind you about some of the best advice EVER! 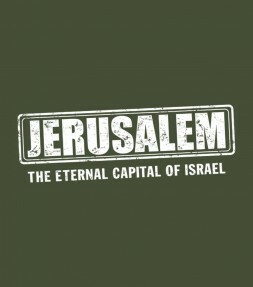 This attractive Jerusalem shirt was designed especially for Yom Yerushalayim, the Jerusalem Re-unification Day. 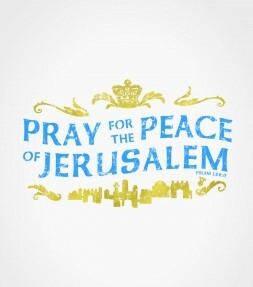 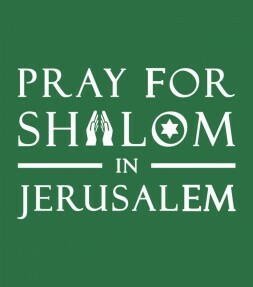 The inspiring words taken from the Book of Psalms "Pray for the Peace of Jerusalem" proclaim the aspirations of all that love Jerusalem dearly. 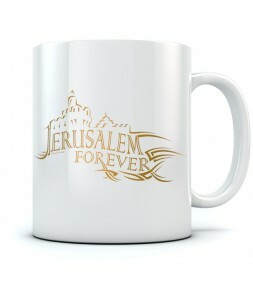 As this Jerusalem Forver shirt expresses, Jerusalem has overcome many obstacles and troubles in the past and will continue to overcome any challenges in the future! 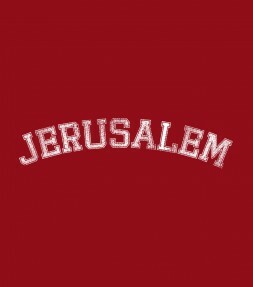 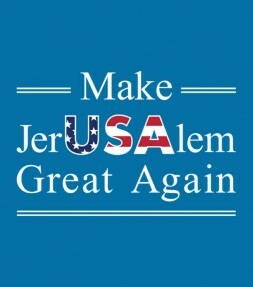 This Jerusalem shirt in an American College font gives this design a clean, cool and athletic feel to the word Jerusalem. 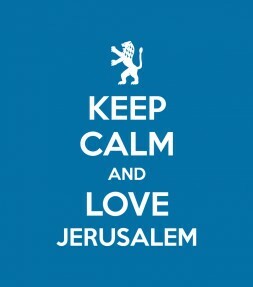 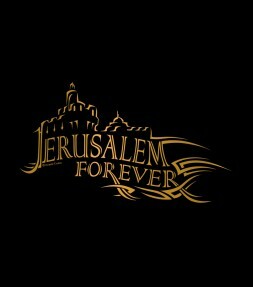 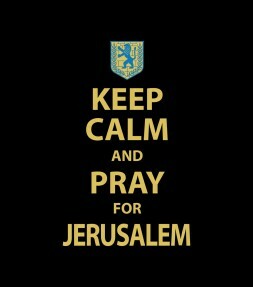 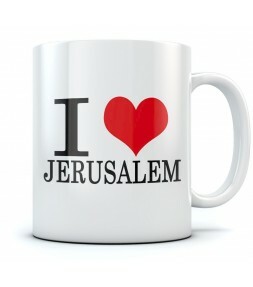 We hope that you will be happy to remember Jerusalem and keep it close to your heart always! 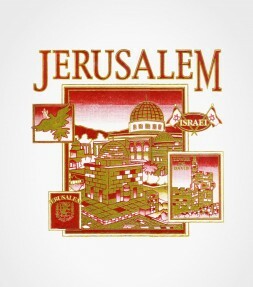 This lovely Jerusalem shirt features memorably illustrated artistic images depicting some of the iconic aspects of Jerusalem that make it such a special city. 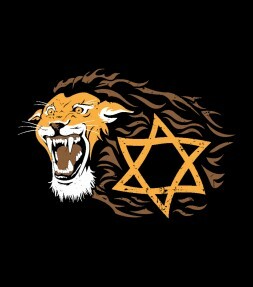 Featuring an iconic insignia of the Lion of Judah, this Jerusalem shirt may be just the right solution for helping you to stay calm and focusing on something to benefit all generations of mankind - Praying for peace in Jerusalem! 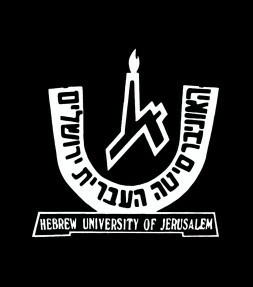 This Jerusalem shirt commemorates the world-famous Hebrew University in Jerusalem and is printed with a rare vintage logo of the Hebrew University. 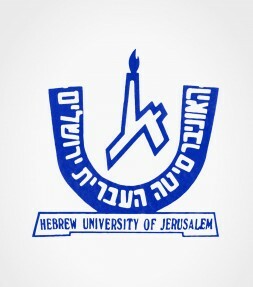 This cool vintage Hebrew University design is rare and quite unique and features a vintage university logo with inscriptions in both English and Hebrew for "The Hebrew University of Jerusalem". 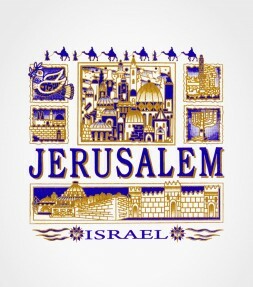 This Jerusalem shirt is a memorable way to remember the city of Jerusalem as well as the perfect design for dreaming of your upcoming visit to Israel – May it be next year, in Jerusalem! 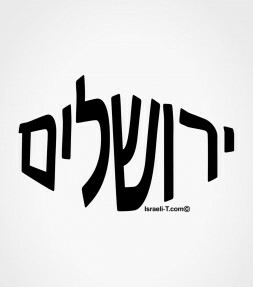 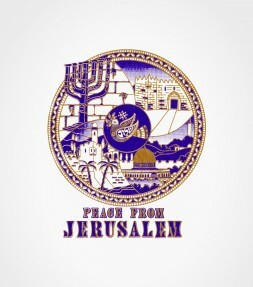 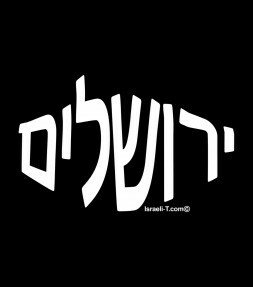 This Jerusalem shirt design is written in large scripted Hebrew letters and is the perfect opportunity to keep the 'City of Peace' in the Holy Land close to your heart always! 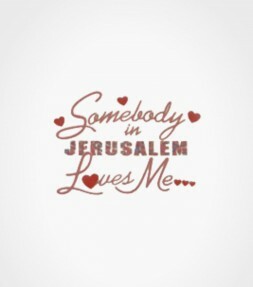 With a memorable quote "Somebody in Jerusalem Loves Me" and red hearts emphasizing the point - this wonderful vintage design makes for a nostalgic and cool Jerusalem shirt. 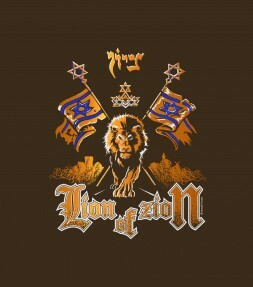 This Jerusalem shirt features an archaic crest depicting the Lion of Judah, a powerful design that is a well-known image that symbolized the ruling Israel Tribe of Judah. 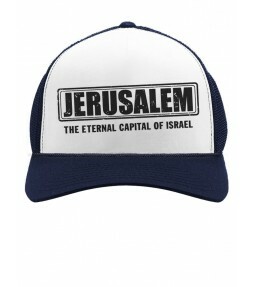 This attractive Jerusalem shirt celebrating the eternal City of Peace, is a great garment to wear if you are ever in Israel, but can also be a great way to make sure that you remember Jerusalem always! 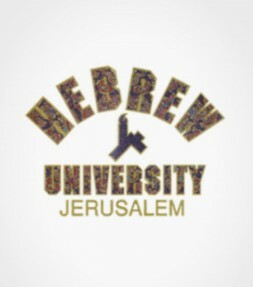 Welcome to Hebrew University! 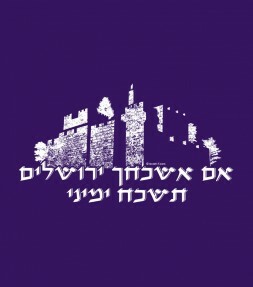 This cool Hebrew shirt has a unique design that is very Israeli and includes both Hebrew and English banners for "The Hebrew University of Jerusalem".